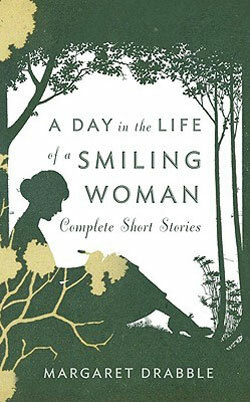 The fourteen stories in A Day in the Life of a Smiling Woman are arranged chronologically from 1964 to 2000. This order displays the change in Margaret Drabble's approach to fiction in the 1970s: a willingness to extend her subject and structure, to foreground somewhat the act of telling through changes in point of view. 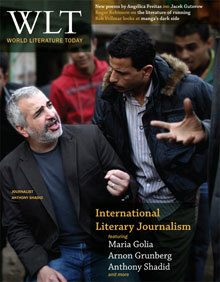 Most of the stories in this collection are indeed confined to a day or two, as the title suggests. Most feature solitary female characters, living most vividly through consciousness; likewise, most of the plots climax with a meeting or recognition that forces the protagonist out of her self-absorption. Increasingly, however, a narrator—on or offstage—introduces the framing consciousness of a storyteller. Unlike many novelists who turn to the form, Drabble's short stories don't compress a life or tantalize the reader into imagining interesting events for the character after the conclusion. Humphrey and Justina, in "Les Liaisons Dangereuses," may fall in love, but one senses nothing after will be so interesting as how they met. The "Faithful Lovers" rediscover each other, after a breakup lasting years, and the story concludes before the reader loses interest. If some of the protagonists have only odd moments of realization or momentarily interesting encounters, as in "A Pyrrhic Victory," "A Voyage to Cythera," or "A Success Story," they are important to the characters and perhaps reflect that most people don't live lives that could sustain a novel. With "The Gifts of War," a story of students attempting to dissuade a store from selling war toys, Drabble introduces a subject that shaped much fiction of the 1970s, the Vietnam War. But she avoids moral simplicity by entangling the students with a poor woman whose whole point of being was to give her child a bit of happiness through the purchase of a particular war toy. "A Success Story" and the title story both feature a narrator with a "Once upon a time" sort of beginning, a framework that allows a summary comment at the end, even though each story is essentially delivered from the perspective of its protagonist. Interestingly, both privilege an inside look at the reflections of a famous woman, and how one might think and behave as a public person. My favorite stories are the first-person accounts found in the last part of the collection, particularly "Homework" and "Stepping Westward: A Topographical Tale," in which solitary women tell what is important to them as they engage with others. "Homework" is a gem in depicting the protagonist's self-confidence, which causes her to miss the reality of what is going on in her host's home. "Stepping Westward" links up with the earlier "The Dower House," both riffing Jane Austen's Persuasion, with different Elliots encountering protagonists who engage in some actions and thoughts familiar to readers of that novel. Thus Drabble pays tribute, acknowledging (without anxiety) a key influence. Her stories are entirely worthy of the implied comparison.